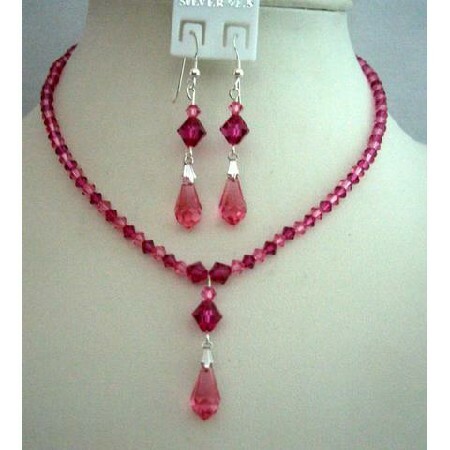 Pink Swarovski Crystals Custom Jewelry for Brides or Bridesmaid or Evening Party Jewelry made with Swarovski Fuchsia& Rose Pink Crystals. it is your special day let us pamper you by creating the most lovely & perfect bridal jewelry just for you & your bridal party. Make your dreams come true.